You can bring your spaghetti to the next level. It’s time to make a more tasty and delicious pasta dish. 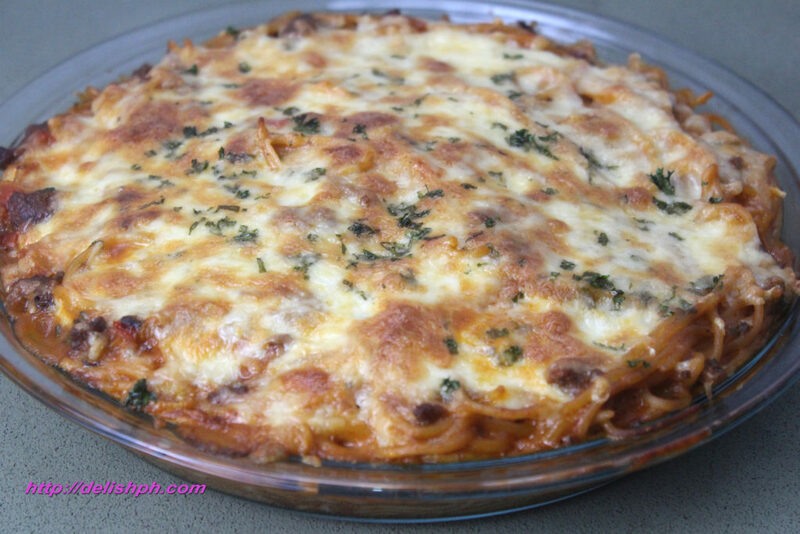 This Cheesy Baked Spaghetti is something you can prepare on special occasions. Your family will definitely love this. Spaghetti with lots and lots of cheese. 1. Boil some good amount of water in a pot. Drop a pinch of salt. 2. Cook spaghetti following the instruction in the packaging minus two minutes of cooking time. (Need half-cooked pasta). Drain and set aside. 3. 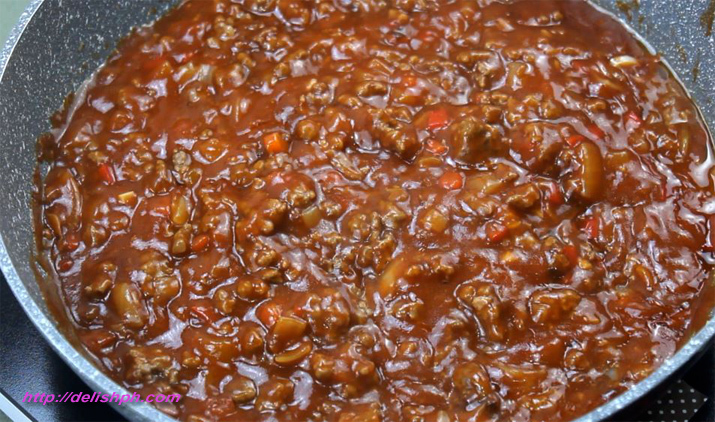 In a large pan, put in the ground beef. Cook for about 10 minutes. When its oil starts to come out. Put beef on one side of the pan. 4. On the other side, add in the onions and tomatoes. Sauté for about 2 minutes and mix them with the beef. 5. Add in the garlic and the bell peppers. Cover and cook for about 10 minutes. 6. Pour in the spaghetti sauce. Season with salt and pepper. 7. Add in the cooked pasta. Then the Cheddar Cheese and the Quick Melt Cheese. 8. Sprinkle some amount of parsley. Mix. Let cook for another minute. Remove from fire. 9. Transfer the spaghetti to a baking dish. Top with some mozzarella cheese and parsley. 10. Bake for 15 minutes in 150 °C or until cheese melts and turns brown. I love cheese. So I made this cheesy spaghetti where I can add as many cheese as I want. The mozzarella melts on top will make everyone drool.